Zoe Akins wrote a play in the early 1950s called The Greeks Had a Word For It. In 1953, it was adapted for the screen as, How to Marry a Mi llionaire. Marilyn Monroe, Betty Grable and Lauran Bacall starred in the film, and it made Marilyn Monroe popular. 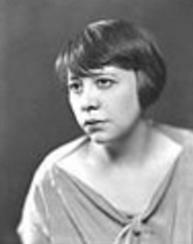 Zoe Akins’s time in Hollywood came at the culmination of her career, a career where she competed with men playwrights, but was still able to attain a measure of success. She was born in Humansville in 1886 and went to school at Hosmer Hall (an all girls school in St. Louis) where she studied theater and drama. Writing was her main interest and she wrote over 40 plays, 18 were produced on Broadway. In 1935 she received a Pulitzer Prize for drama for her adaption of The Old Maid. She passed away in Los Angeles, California in 1958. Check out this book about her life’s work.